Calling all culture vultures! The annual Quoz Arts Fest is back at Alserkal Avenue this weekend and this year’s theme focuses on sustainability; how it affects us and how we can make a difference. As always, there will be workshops, gallery tours, film screenings, performances, live music and more! Ready to kick off your weekend with some live beats? Make your way to Ramusake on Thursday night for your weekly dose of live soul and funk music, as well as delishhh Japanese food and stunning views. From unique crafts and souvenirs to food items and film screenings, the Reel Palestine film festival and Cinema Akil have come together to showcase the best of Palestine. Fancy trying something new this weekend? Yalla Yoga invites you to its overnight glamping retreat in Ras Al Khaimah. There will be everything including fun beach games, paddle boarding, yoga, BBQ dinner, campfire (with marshmallows! ), salsa classes and more! There’s a bootcamp class on the beach this weekend and everyone is invited to join! Hosted by The Project DXB, this free beach workout will whip you into shape in no time. Get your dancing shoes on and make your way to Trader Vic’s every Saturday for salsa night. There will be a DJ, a live Cuban band and 50% off on all signature cocktails! Here’s another one for the adventure lovers! 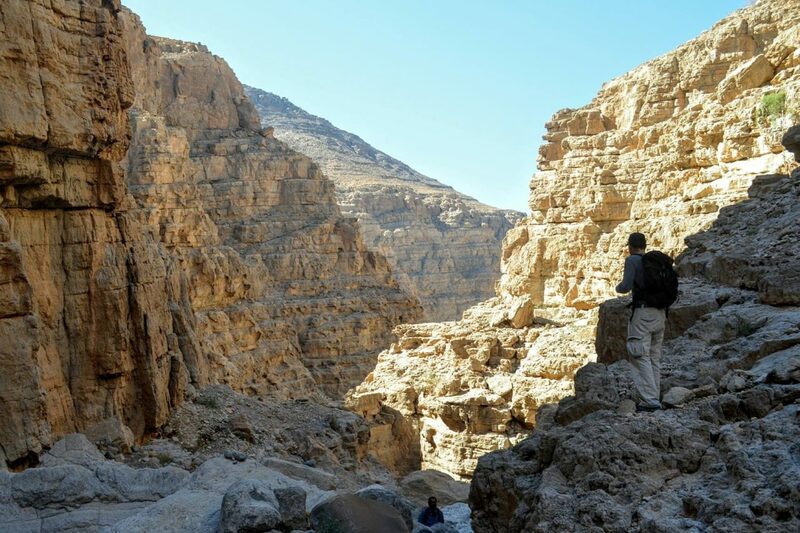 UAE Trekkers is organising a hiking trip to Leopard’s Canyon this weekend, and it’s suitable for beginners – yay! Starting off in the hilly areas on Jebel Jais mountain, this 3-hour trek will take you past a farm house, through a wadi and over a ridge.